Last week we talked about cravings. 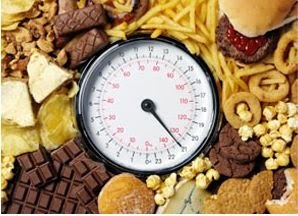 Physical/internal cravings for food can be overwhelming, but they can seem "over the top" when mixed with emotional cravings and social situations. Getting those primal cravings under control can help you to begin to manage the emotional and social overeating to help you win the war on food cravings. The younger version of me was a real mess! I was on a wild rollercoaster ride of cravings. It was so hard. I tried to get the cravings under control but there were so many voices and so many factors controlling my cravings pulling me every which way. People would give suggestions, but it would usually only address one part of the craving battle. I would work on my willpower to overcome the cravings caused in a social setting. For example, not eating cake at a birthday party. 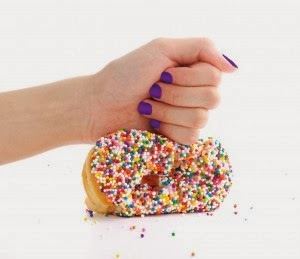 I would feel empowered for a moment, but a few hours later I would have such a sugar/carb craving and start thinking about the cake that I missed out on, I would devour half a dozen doughnuts. There was so much going on, it seemed hopeless. There were days that I just wanted to eat myself to death just so it would all stop. It seemed easier to be overweight and to deal with the effects of being fat then to control the cravings. Why bother trying to control cravings when they control me. The cravings would come in from all angles and in such a flurry. I felt so helpless and hopeless. I was a social/ emotional eater out of control and seemed that there was not hope. I did find hope, and I started to get it under control. Having three children very close together was a real challenge, yet a blessing. I would not trade it, but it has been one of the wildest parts of the ride so far. With the first child I craved carbs. If I did not eat every hour or so and keep a constant supply of carbs running through I would get so sick. After nine months of pregnancy the habit was set. After about a year of continuing these habits, I decided that I needed to quit eating carbs every couple hours. I started doing better I was feeling better and, surprise; I was pregnant again. This was followed by a quick third pregnancy. A pattern had been set. Eat carbs all day long to feel better. It was habit, and one that was becoming to easy to maintain. Then it became so easy to get back into the emotional eating habits that had so easily taken over my adolescence. Dealing with three little ones, and the effects of motherhood was a challenge. I knew it needed to stop the emotional eating once again. I had done it in the past and I knew that I could do it all over again. I tried, yet it seemed as though the harder I worked the harder it was. I was not getting my emotional eating under control. The tricks from the past were not working so well. I did not understand that I had physical cravings from being vitamin and mineral deficient. Pregnancy had taken so much from my body making it more vitamin and mineral deficient. Understanding this had happened and getting those physical/ primal cravings under control has now given me the power to sort out and control my emotional and social eating patterns and cravings once again. It is not easy especially when the social and emotional habits are such a part of me. Family and social cravings are still hard for me. They are deep rooted. I still struggle when the family gets together because it is just so easy to grab handfuls of food and snacks when we are around each other. It is what we do, we get together and eat. My sister struggles too. We often help each other. She brings better snacks, and encourages us to go for a walk together or other activities that are not center around food. It is a long journey but one that is a lot easier having taken the physical/ primal cravings from the mix. I can focus on those external things that trigger my desires to eat. Social food cravings can be overcome by being aware of the triggers. There is usually something that triggers you to eat in a particular situation. For me staying out of the kitchen at my Mom's house is key for me. It is too easy to associate it with eating and to get into that habit. If I am in the kitchen, I am focused on cooking and then getting out. Other examples could be something like... Hanging about that desk at work (you know, the one that has the candy bowl) can trigger a social craving. If there is not candy there, you start to salivate and you want to go out and find some candy to fill that need. Social cravings are not really cravings; they are really just habits tied to, or triggered by certain actions or situations. Often these habits and patterns can be changed by eliminating the things that trigger the overeating. For example taking a different path to work if you are tempted by a bakery or fast food establishment on your route. Being aware is a beginning place. Emotional eating can also be overcome. I know, I have experienced it. It also begins by being aware. Asking yourself a few questions and being honest about the answers can really help you asses the situation. One key question is, "Why am I eating this?" The second key question is "How am I feeling?". Asking these questions and being honest about it can be very enlightening to what is going on in your world. Food journaling can be very helpful. Journaling your food intake is a good place to start. It makes you aware of patterns that you never may have seen. It makes you aware of problem areas. It makes you accountable for your food choices too. It was key to me getting in shape the first time, and is encouraging to me this time around as I work towards finding better health. Tune in next week as we go into more details about a food journal and how to use it to your advantage. Below is a link to a post I wrote a while back about my emotional eating habits. As I looked back at it, I was amazed at where I was and where I am now. You can read and hear the confusion within me as I tried to sort out the physical cravings and the emotional/ social associations that I had developed with food. Great post! I'm sure everyone who reads this can relate in one way or the other. For me it's a constant battle and I'm trying to get better at listening to my own body and overcoming cravings. One thing I realized recently is sometimes I am craving something sweet because I did not get enough fat during the day. Had a handful of macadamia nuts and my sweet tooth went immediately away. Thank you for sharing. Visiting from Let's Get Real Blog Hop. Thank you for sharing your experience. You raise some important points and offer some really excellent solutions too. It really is true, when we nourish ourselves well our cravings for less nutritious foods decrease.